This texture-rich tote by Cleobella adds a modern-cool look to your collection. 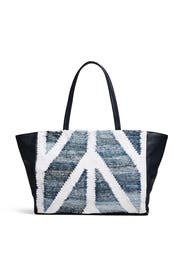 Navy and white printed tote with leather base. Internal zipper compartment. 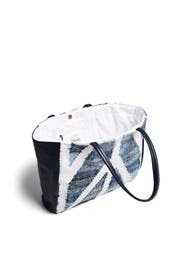 10" shoulder strap drop. 14"H x 16"L x 4.5"D.